There was no shortage of platformers during the 16-bit generation, but very few were any good and even less hold up when played nowadays. That’s why a game such as Flashback immediately made an impact in the gaming scene when it was released in 1992. Flashback’s legacy has only grown over time, and now Ubisoft will be releasing an updated HD version of title for the current generation of consoles. VectorCell creative director, Paul Cuisset, shares insight into bringing back the game for today’s audience. What was the original vision for the game? VectorCell creative director, Paul Cuisset (PC): Flashback is a platform game that takes place in a futuristic setting. It was one of the precursors of what we call today “gameplay narrative.” Flashback tells the story of a young man fighting to prevent an invasion of Earth by extraterrestrials capable of changing appearance and who are controlled by a single immense brain. This is a vibrant example of the sci-fi genre in the 90’s. 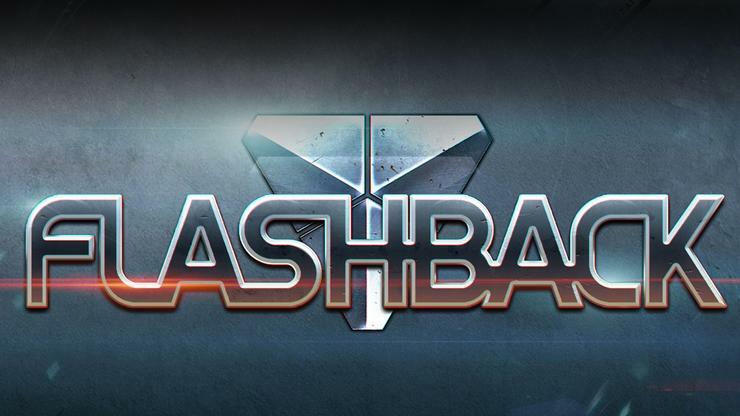 Why a new and revamped version of Flashback? PC: We wanted to do something for its 20th anniversary. It’s been that long since Flashback came out in 1992, and we thought we could both honour our fans who have been asking us for the return of Conrad for a long time, as well as allow a younger audience to discover the universe of Flashback. Is it the same story? PC: The story is true to the original scenario, and all the characters and their enemies from the first game are all back. It has been beefed up and modernised though. Some characters that were sort of in the background in the first version were developed and have taken on more importance. We also went back and took a longer look at some of the blurry spots in the first Flashback and the fans will hopefully discover certain aspects of the world that might have been overlooked. What are the improvements to the original game? PC: Our first objective was to remain faithful to the spirit of the original game, but to also take full advantage of the computing power of today’s machines. Quite a few points were considered to bring the game up to standards. The first was obviously in the graphics department. We also gave a facelift to the gameplay by making it more reactive and dynamic, the reactivity and instinctive control of Conrad being two points that we really take to heart. We also integrated an experience progression system for the character and his equipment, with upgrades that can be found throughout the various levels. What other improvements were made? PC: Accessibility was brought up to current standards, as was the level design that would seem rather punishing through today’s lenses if we had kept it exactly as it was. All in all, though, we’re extremely happy with the result. We feel we were able to keep Flashback’s soul and put it into a new body. Which team at VectorCell has been working on the game? PC: We’re a team of fifteen and five of the lead were part of the original project. To that you have to add externals that came in to work on various specialised domains, such as film direction, sound design, music, dialogues and scenario. What is the nature of your collaboration with Ubisoft? PC: We started the project alone for a time, and then we presented it to Ubisoft who agreed to publish it. We’re extremely happy to work with them and benefit from their enormous experience. We worked together with the editorial teams at Ubisoft in order to fine tune and improve the game. They helped us out immensely with a wide-angle perspective. It’s always hard to take a step back when you’ve got your nose to the grindstone. What platforms will the game come out on? PC: The game will be available on Xbox Live Arcade and PlayStation Network, and will be released in 2013. What will players get out of finishing the game? PC: I hope players will play this Flashback with the same enthusiasm they did twenty years ago. We stumbled upon gameplay back then that is truly special and provides a unique game experience. All we’ve tried to do in this version is give the game a new body that meets the expectations of the 21st century. We think we’ve protected its soul along the way, and that’s what we want people to be able to share with the old generations and the new.